Local Pakistani Catholics are grateful that Pakistan’s Supreme Court has upheld its October 2018 acquittal of Asia Bibi, a Christian convicted of violating that nation’s strict blasphemy laws. “They are really happy, and they are praying for her and for her family so that they find a safe place to live in freedom,” said Father Tariq Isaac, chaplain of the Archdiocese of Philadelphia’s Pakistani community. Bibi, a 51-year-old farmhand, spent eight years in solitary confinement after a 2010 conviction for insulting the Muslim prophet Muhammad during a disagreement with a coworker. Her case garnered international attention, with Pope Benedict, Pope Francis and a number of human rights groups calling for her freedom. In their original 56-page decision vacating the sentence, the judges cited “glaring contradictions” in the prosecution’s evidence. That verdict was met with widespread protests, and was challenged by Tehreek-e-Labbaik, a hardline religious party that, according to media network Al Jazeera, has made blasphemy its central issue. On Jan. 29, the Supreme Court affirmed its decision, with Chief Justice Asif Saeed Khosa noting that the testimony against Bibi had amounted to “false evidence” and “lies,” according to media reports. Bibi and her family are now believed to be in undisclosed location in Islamabad, while efforts to secure asylum are underway. Many, including Father Isaac, believe that Bibi will relocate to Canada or perhaps Europe. “It is good that at least the family will leave Pakistan,” he said. Persecution is a way of life for religious minorities in the south Asian nation, where Christians represent about 1.6 percent of the majority Muslim population. Such repression is rarely covered by mainstream media, particularly in the West, said Father Isaac, and social media is often the only way of chronicling the difficulties faced by Christians in Pakistan. Father Isaac knows their struggle firsthand. Seven years ago, his brother and several other Christians were arrested for blasphemy in the family’s hometown of Gujranwala, near Lahore. Burned and vandalized copies of the Koran had been placed in front of their houses by local Muslim and political leaders, who then charged and imprisoned the minority group. Upon their release, several arranged to leave Pakistan immediately. Father Isaac, who had served as a priest in Pakistan for 18 years, followed his brother to the U.S. A third brother, who also faced blasphemy accusations, currently lives in Malaysia but hopes to move to Canada. Father Isaac’s parents arrived in the U.S. in May 2018; his two sisters remain in Pakistan. 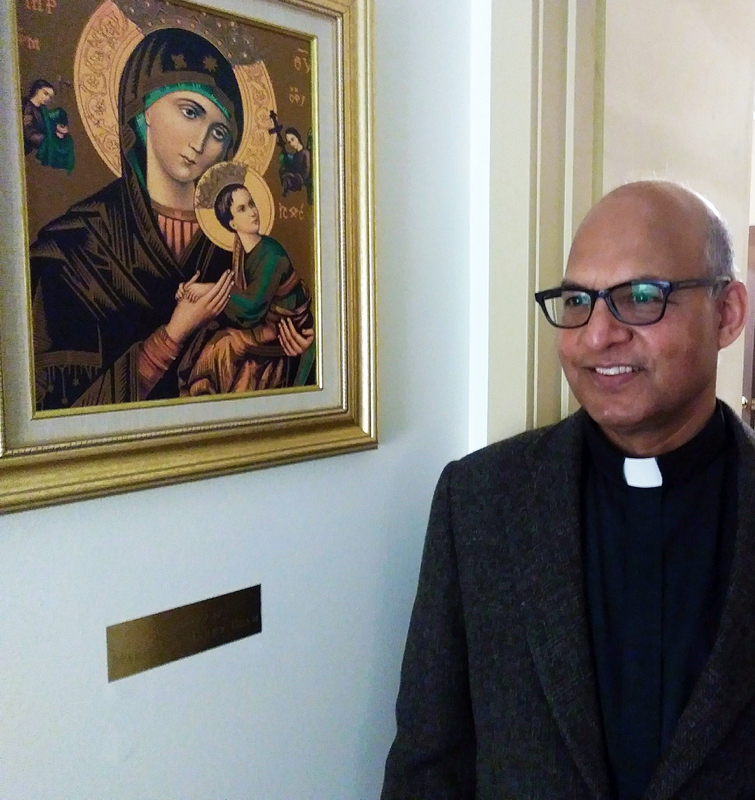 Most of the archdiocese’s Pakistani Catholics and Christians have similar stories to tell, said Father Isaac, now in residence at St. William Parish in Philadelphia. “They come because they have been persecuted, or because they have received threats, or because they fear they will,” he said. About 60 Pakistani Catholic families currently attend a regular Sunday Mass celebrated in Urdu (the official language of Pakistan) at St. William. The community, which includes an active youth group, also gathers for dinners and faith formation classes. Father Isaac estimates there are an additional 200 to 300 Pakistani Christian families from various denominations in the Philadelphia area.